This book describes women’s efforts as agents for change in Myanmar and examines the potential of the peace process as an opportunity for women’s empowerment. 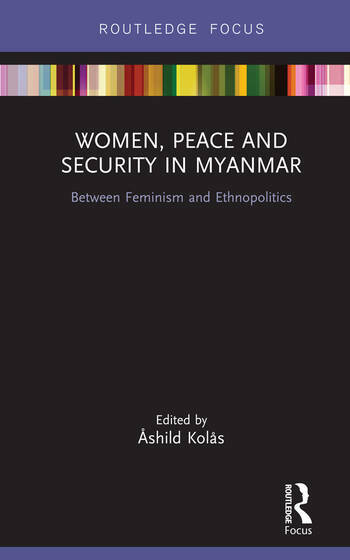 Following decades of political turbulence, the volume describes the contributions of women in Myanmar in the midst of a difficult peace process, and reflects on the significance of the Women, Peace and Security agenda in this context. The book examines how women have mobilized for peace, while also addressing women’s participation in the conflict, and investigates the perspectives and aims of women’s organizations, and the challenges and aspirations of women activists in Myanmar’s ethnic areas. Contributions in the volume discuss and critically assess the argument that war and peacebuilding adds momentum to the transformation of gender roles. By presenting new knowledge on women’s disempowerment and empowerment in conflict, and their participation in peacebuilding, this book adds important insights into the debate on gender and political change in societies affected by conflict. This book will be of interest to students of peace and conflict studies, gender studies and security studies in general. Åshild Kolås is a social anthropologist and Research Professor at the Peace Research Institute Oslo (PRIO), Norway.